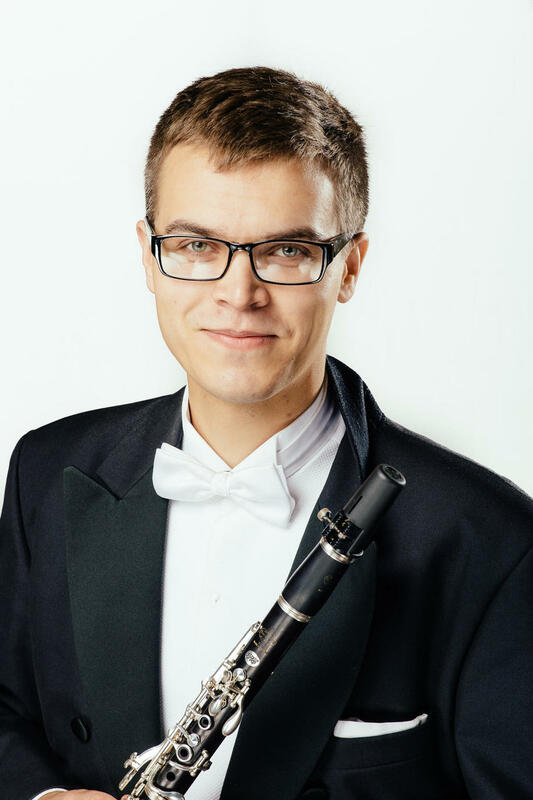 Marten Altrov (clarinet) started his clarinet studies at age of nine in Nõmme Music School with Villu Musting. Later, he was taught by Madis Kari, Meelis Vind, Vahur Vurm, Vello Sakkos and Hannes Altrov. At the moment he is studying in Sibelius Academy prof. Harry Mäki's clarinet class. He has taken part in the work of several orchestras both in Estonia and abroad: Estonian National Symphony Orchestra, Estonian Youth Symphony Orchestra,Tallinn Chamber Orchestra,Pärnu City Orchestra, European Union Youth Orchestra, European Union Wind Orchestra, Orkester Norden. Marten has participated in various masterclasses with such great clarinet players as Fabio di Casola, Matthew Hunt, Claudio Conti, Juan Esteban Romero, Carina Washington and Selvadore Rähni, and has bees soloist in front of Estonian National Symphony Orchestra, Pärnu City Orchestra and Narva City Orchestra. In addition, he plays in a world-music band called Abraham's Cafe.